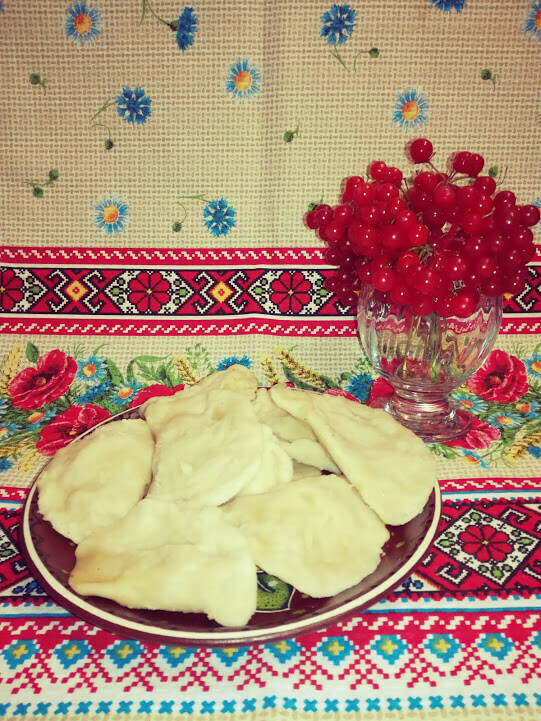 Varenyky with guelder rose berry filling are a great family-friendly dish. 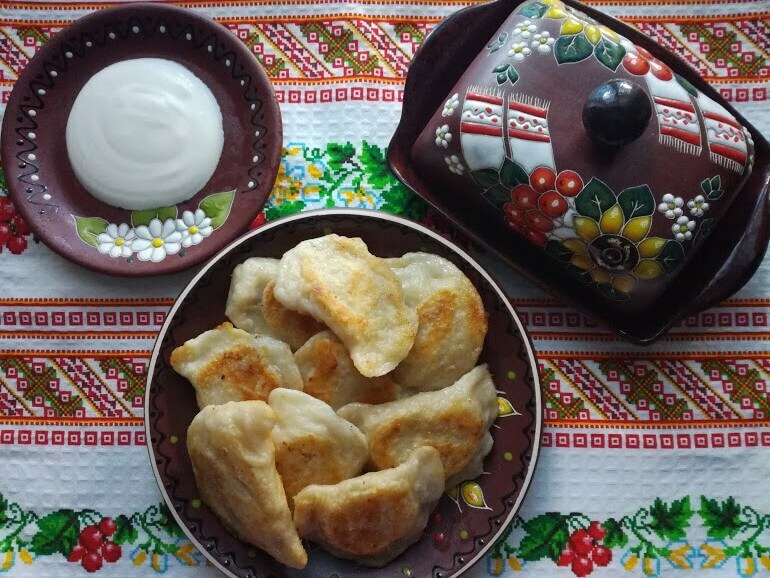 Relishing a sweet sour taste, these varenyky are just marvelous. Bright flavor, tender taste. What could be more tempting? 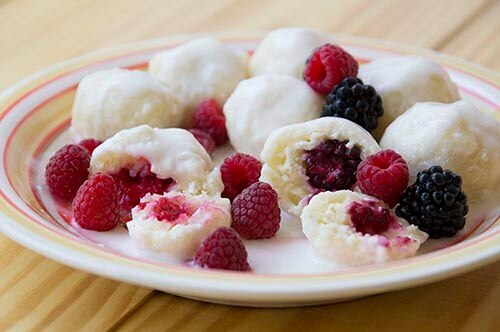 Summer is in full play and the markets are packed with fresh berries and fruits. 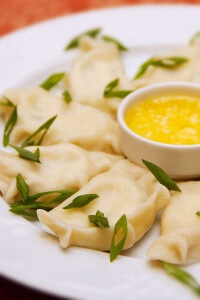 Don’t miss a chance to cook various dishes and enjoy the summer delicacy. 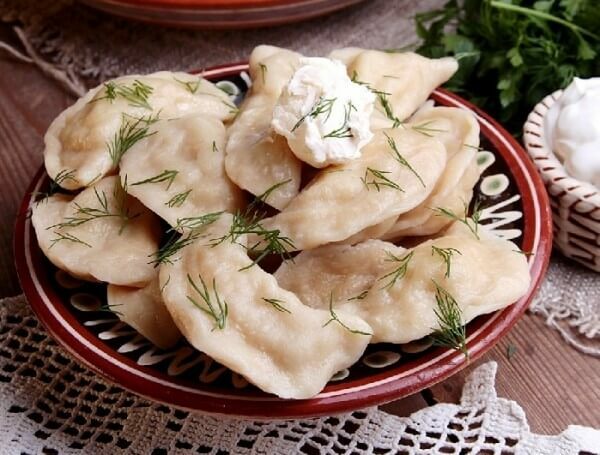 Today we are going to cook varenyky with a delicious meat filling. Ground mutton with onion is a good solution to stuff your varenyky. 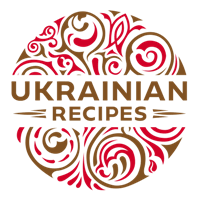 Varenyky are so popular among Ukrainians and there are dozens of recipes for varenyky and their fillings. 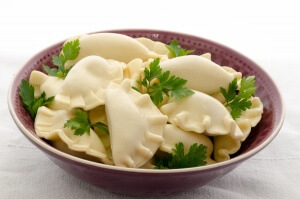 Today we are going to cook dumplings with chicken and champignons. Each of your family members and guests is going to find predictions for the next year inside his or her varenyk.